Do You Need Legal Assistance From Trusted And Compassionate Truck Accident Personal Injury Lawyers And Wrongful Death Claim Attorneys In Torrance, Calif? Our experienced and resourceful truck accident personal injury lawyers will provide complete legal assistance during your Torrance injury accident case, whether you or a loved one was injured in a truck, car, motorcycle or any other kind of accident in Torrance, California. A truck accident may only take a few seconds, but it has the ability to change someone’s life forever. In many truck accident cases people are left struggling with debilitating injuries, huge hospital and other medical expenses, damage to property, loss of income and more. Truck accident victims often fight their personal injury case alongside taking care of their injuries, keeping up with hospital and other medical bills, loss of income and other personal damages. But you don’t have to do all this alone. You can contact us 24/7 for an ABSOLUTELY FREE & CONFIDENTIAL CONSULTATION. For more information on our experienced truck accident personal injury lawyers, please visit our home page. To know about our lawyers, feel free to check our lawyer profiles and our personal injury & wrongful death case testimonial pages. To get in touch with our personal injury lawyers immediately, please call us at 818-222-3400 or 1.866 INJURY 2 (after hours, dial “1”), or simply click here 24/7 for our contact information and simply form to complete for your FREE & CONFIDENTIAL consultation and case evaluation. 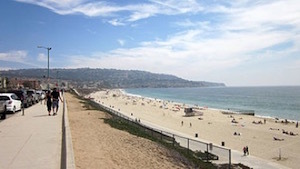 A city in the South Bay region of Los Angeles County, Torrance has 1.5 miles of beaches on the Pacific Ocean. The beaches on this side are quieter and less well-known by tourists than other beaches on the Santa Monica Bay. 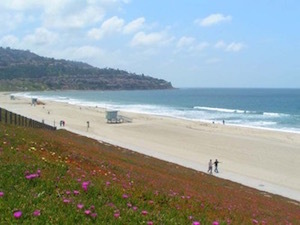 The weather in Torrance is moderate around the year with warm temperatures, sea breezes, low humidity and an average rainfall of 12.55 inches per year. The Pacific Ocean and Redondo Beach bound Torrance on the west, while Torrance is bound by Gardena on the north, Los Angeles on the east and Palos Verdes Estates on the south. 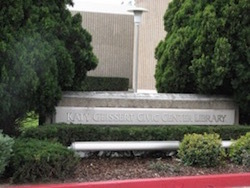 The city of Torrance, CA was incorporated in 1921, and since has seen rapidly grown. 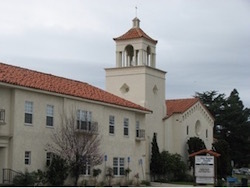 According to United State Census 2010, the population of Torrance was reportedly 145,438. Recent estimation on the population of Torrance three (3) years later during 2013 was around 147,478. 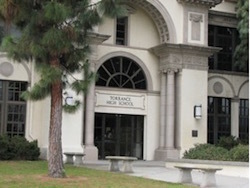 Torrance is the birthplace of the American Youth Soccer Organization (AYSO). Moreover, Torrance has the second highest percentage of Japanese in North America. Two noted celebrities who resided here during their childhood are filmmaker Quentin Tarantino and American martial artist, actor, film producer and screenwriter; Chuck Norris. If you had an injury accident in Torrance or anywhere in Los Angeles or Orange, please contact us now. 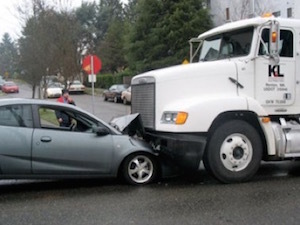 Our Expert Torrance Truck Accident Personal Injury Lawyers Will Fight for Maximum Compensation! Our Torrance truck and car accident attorneys assist victims in pursuing their rights to acquire maximum compensation for their injuries, as well as for other financial damages and losses. We also represent families of loved ones killed in violent truck collisions with their wrongful death accident claims. We understand how taxing it is being involved in a serious truck accident so we concentrate in providing excellent service to obtain maximum monetary recoveries for our clients. Based on this understanding and thanks to our 40 years of experience in handling truck accident personal injury claims, we work towards getting maximum compensation to cover all losses and damages incurred. Contact Us for an Absolutely Free & Confidential Case Consultation and Case Evaluation! For our quick and easy consultation form, fill-in your case details on our contact us form and tell us about your Torrance, CA truck accident, car accident or other injury accident. You can even send us a personal email directly to info@WalchLaw.com. There is NO charge for our initial consultation – It is ABSOLUTELY FREE! We also work on contingency fees on injury accident claims– There is NO FEE until WE WIN!